4 Corner Home Inspections is Southwest Ohio’s most trusted home inspection company. We provide certified home inspection services including Residential Buyer Inspections, Residential Pre-Listing Inspections, Termite (WDI) Inspections, Radon Testing, & 11 Month Warranty Inspections to Cincinnati, Fairfield, Loveland, Batavia, Mason, and surrounding areas in Southwest Ohio. A professional home inspection is your best tool when it comes to making the most of your home investment. Whether you are buying and selling, an objective professional inspection will provide you with important information that you can use. If you’re buying, you want to know that the home you’re considering is safe and sound. You want to avoid unwelcome and costly surprises. 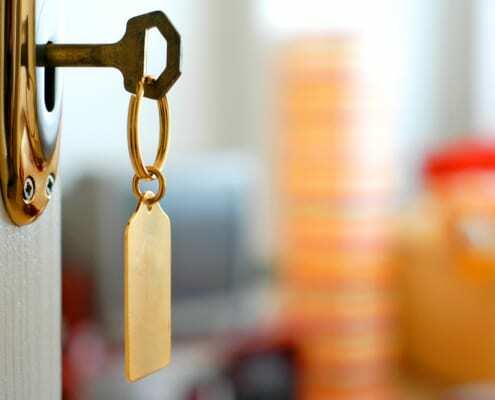 If you’re selling your home, you will need to make full disclosure of any and all deficiencies. You’ll want to know what, if any, repairs to make so you can market your home most effectively. Whichever side of the “For Sale” sign you’re on, a quality home inspection is essential. You want as much information as possible about the home you are considering for purchase, and a comprehensive home inspection offers important protection for your investment. 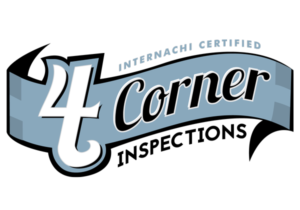 4 Corner’s home inspections evaluates home safety, structural and mechanical soundness. We look for any risks to your family’s health. We identify potential maintenance issues and help you eliminate unwelcome surprises. 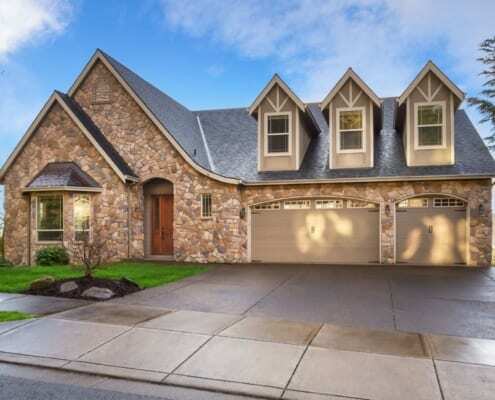 Our home inspection gives you a powerful marketing tool to set your home apart. We point out repairs that you may wish to make before you put your home up for sale. A pre-sale home inspection can be your competitive edge when it comes to offering the buyer greater peace of mind. When it comes to the health of your family, you cannot afford to take chances. So when it comes to Radon it is imperative that you get answers. Exposure to Radon can result in a number of serious health issues. At 4 Corner Inspections we offer comprehensive Radon tests designed to give you the answers you need and the peace of mind you deserve. When obtaining a mortgage or a mortgage guarantee to finance the purchase of a home, you most likely will be required to obtain a WDI inspection by the bank, the mortgage company, or the guarantor. 4 Corner Inspections offers comprehensive wood destroying organism inspection reports. Our WDI/WDO inspections are thorough so you know your property investment is safe from invasive pests that like to reside in the wood portion of homes. James was impressive in every way. He was on time, accurate, and responsive. I called James on a Monday and he came out the next day! I chose him because he was certified to do home inspections and termite inspections. We were there on site with him and were impressed by his attention to detail. The report was so comprehensive and easy to go over online. It was great that we are able to print the report and look at the things he had identified by sections as either areas of the house or areas of concern. I highly recommend James Taylor and four corner inspections. James is great, honest, knowledgeable, accomodating, and eager to have you present during the inspection to share all the findings and explain the possible issues and remedies. His reports are thorough or should I say more than thorough, timely and a great service at a more than fair price. I can not say enough good things about our experience and HIGHLY recommend to any one buying a home!!! James has done three inspections for me in the last few months. He is extremely professional, thorough, friendly, and willing to explain anything. His reports were very helpful in making final decisions on the house to purchase and we will save a bunch of money on repairs because we were able to negotiate a better purchase price to handle the necessary repairs that I would have missed. 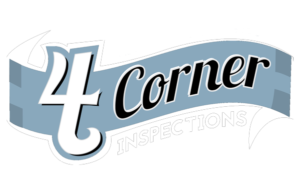 Thank you for choosing 4 Corner Inspections LLC! A home inspector should examine an entire house from the top of the roof down to the soil, inside they move room by room including the attic and crawlspace or basement. The primary purpose is identifying structural and major system flaws including anything safety related. Buying a home is probably the largest and most important investment that you and your family will ever make. It’s important to confirm the value of your investment by getting a certified home inspection. This is also an inexpensive way to learn the condition of your home and get leveraging power when it comes to negotiating the price with the seller. Across over 80,000 home inspections in the Spectora Home Inspection Software network in the past year, data shows the average home inspection to cost $358. The average home inspection cost from HomeAdvisor and Angie’s List was $395. Most everyday home owners can spot something obvious, like a random wire hanging from the ceiling. However, they aren’t trained to see what most would miss, or mistake as being routine. Oftentimes, it is recommended to get a home inspection before you even make an offer on a home. At the very least you want to get this inspection completed before you close on a home. This means you still have a chance to pull out of buying the home if the inspection turns up massive problems with the home that you are not willing or cannot afford to fix. Do I have to be there when the home inspection is happening? If you’re selling your home and having a pre-listing inspection, it’s a good idea to stick around for the inspection to give you some insight on what you should fix before listing your home. However if you’re selling your home and the buyer hired the inspector, there’s no reason for you to be present and it’s probably best that you don’t attend. If you’re buying a home, it’s not required that you’re present for the home inspection but it’s a good idea to be there for it. If your home inspection has come back with a ton of issues, you can ask the seller to fix some of the issues before moving forward with the purchase of the home. However, the seller is not required to make any repairs, except those which address structural defects, serious safety issues, or building code violations because these are required to get a mortgage and/or home insurance. There are no set standards when it comes to length of time when inspecting a home. Typically, the home inspection itself usually takes about 2-3 hours. During this time the home inspector will check all of the major systems of the house. For larger homes or homes with additional features, this process will take longer. For small homes and condos, an inspection may only take 1-2 hours. What’s included in the home inspection report? A home inspection report should include the roof, attic, insulation, ventilation, exterior, siding, windows, doors, locks, flashing and trim, walkways, driveways, stairs, patios, decks, drainage systems, basements, foundation, HVAC, plumbing, and electrical. How do I know if a home inspector is qualified? With so many choices, it’s often a challenge to choose a home inspector. Many inspectors boast years of experience and extensive knowledge of the real estate process. You need to find an inspector that will walk through the home with you and point out any issues that could arise while you are in the process of buying or selling a house. Consider the inspector’s credentials, read online reviews, and see what services they offer. Does the inspector need to be specialized in residential structures? General home inspectors specialize in residential structures, whereas some obtain additional training and certifications to inspect commercial properties as well. Inspectors tend to specialize in one or the other, but some do both. You don’t necessarily need to hire a property inspector that specializes in residential inspections. Just because an inspector specializes in one particular area doesn’t mean they are better than their competition who might offer a variety of other services. An appraisal is the concept of pricing a home based on specific factors. The appraiser’s primary goal is to protect the lender against owning overpriced property. Appraisers do not conduct in-depth inspections of the home. An inspection is a much more thorough overview of your home. A home inspector examines every aspect of the home looking for issues that could negatively affect the buyer’s investment. While the appraiser is obligated to protect the lender, the home inspector is there to protect the buyer from making a poor purchase. What is the process of a home inspector? During the home inspection process the inspector examines each element of a home and the client is encouraged to tag along with the inspector and ask questions about the home. The inspection process typically takes two or three hours, depending on the size and other factors. Upon completion, the inspector usually gives the client a verbal overview of findings. Most modern home inspectors provide a comprehensive inspection report in a web-based or PDF format within a day or two of the inspection. Home inspectors are usually happy to answer any questions you have about the report. Your newly built home is likely to have all of the latest energy-saving features and comforts that you could ever want. But it’s ALWAYS a good idea to get a home inspection, even on a newly constructed home. 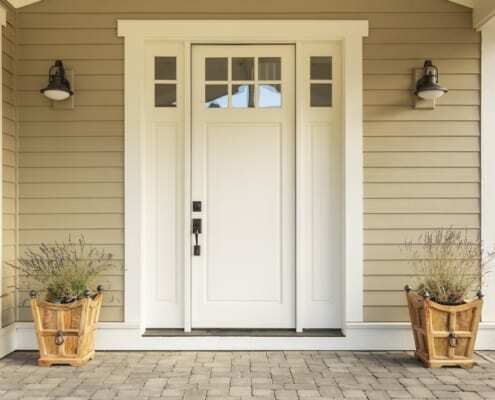 There may be undisclosed issues or shoddy workmanship and it’s possible the home may only be up to minimum standards. Do home inspectors inspect pools, fences, or other outside structures? Typically, basic home inspections don’t include comprehensive overviews of areas like pools, fences, and outside structures. Most prospective buyers hire a professional to go through the house, checking plumbing, electrical and engineering to make sure everything is in good condition. When buying a house with a pool or other unique feature, it’s vital that that part of the purchase receive the same attention. That means it’s time to call in a professional who knows the features and potential pitfalls. Your home inspector may be able to provide inspection services for these areas at an additional fee or refer you to someone who can. Do home inspectors tell me if I should buy the house? While a home inspector cannot necessarily tell you whether or not to buy a house, they will give you an unbiased opinion of the current condition of the property and let you make your own decision. A home inspector will be honest and tell you if a very expensive repair is needed but because everyone’s situation is different, that may not necessarily be a deal breaker for you. Some buyers might be looking for a good deal on a fixer upper. I’m selling my home, should I get a home inspection before putting it on the market? A seller’s home inspection is less common than a buyer’s home inspection, but is gaining popularity. And for good reason. Home sellers are realizing more and more that there are benefits to having their homes inspected before they even list. The biggest benefit of a seller’s home inspection is to know all the issues before they get raised by the buyer’s inspector. This allows you to preempt any last-minute negotiations. You can make sure any repairs get done ahead of time, and most likely at a better price than the buyer would negotiate. 4 Corner Inspections is a top home inspector in the Batavia, OH home inspectors directory on Inspectopia.com.